Doing Henry Hyde's unfinished business. EDITOR’S NOTE: This column is available exclusively through United Media. For permission to reprint or excerpt this copyrighted material, please contact Carmen Puello. When it comes to the signature legislation of the current Democrat-run Washington, Nancy Pelosi and her House of Representatives have been about hiding the truth. In contrast, a House under a Speaker John Boehner would be about Hyde — Henry Hyde. #ad#In a Washington where even self-identified pro-life legislators have been known to drown in the overwhelmingly manipulative spin of those who would hide abortion under a veil of “reproductive rights” or “women’s health,” it’s a groundbreaking goal. It’s also absolutely necessary. And there’s no time like the present to bring it home. This, you see, is the August where “we told you so” wouldn’t be an inappropriate position for the Republicans in Congress who looked into the eyes of supposedly pro-life Democrats and accused them of buying into a farce. And then came July, when the National Right to Life Committee highlighted the text of guidelines, publicly available on government websites, of the beginnings of Obamacare’s high-risk pools. Looking through five states’ documentation, the NRLC found an abortion-funding alarm going off in three of them: Pennsylvania, Maryland, and New Mexico. The NRLC and others complained, and the Department of Health and Human Services was pressured into issuing a regulation prohibiting abortion funding in these state programs. “All of us now know — as many of us knew then — that those claims were lies. Not errors. They were lies!” One can almost hear the voice of the late Illinois congressman Henry Hyde back in 1997 on the floor of Congress during the partial-birth-abortion debate echoing again today, as the veils of lies about abortion from the health-care debate of earlier this year are lifted. She has a point. There is no across-the-board universal law that prohibits domestic abortion funding with federal taxpayer dollars. Despite repeated claims by Nancy Pelosi, Robert Gibbs, and others, the Hyde Amendment never applied to the health-care bill. The Hyde Amendment has only ever applied to money appropriated annually through the HHS appropriations bill. It is also subject to an annual congressional fight. And the Cecile Richardses of the world knew that. #page#Now that the Obama administration has actually done something to prohibit some taxpayer-funded abortion in one part of the health-care law, albeit at administrative discretion that can go away just as easily as it was added, the Planned Parenthood crew is watching this law “like a hawk”: “We now know we need to be vigilant to make sure there aren’t other areas of the law where there is silence. There is a whole host of areas that we’re going to be watching like a hawk,” Laurie Rubiner, Planned Parenthood vice president for public policy, told Politico in the wake of the HHS announcement. #ad#Which is why Republican congressman Chris Smith of New Jersey and brave Democrat Dan Lipinski of Illinois introduced the “No Taxpayer Funding for Abortion Act” right before they left D.C. for the summer recess. It would do exactly what the House Republican leadership promises to do if they are in the majority next time around: codify the Hyde Amendment across the board. Consciously or not, Jordan and Boehner — and Smith and Lipinski, who bucked his party, especially — echo that late Illinois congressman whose name popped up frequently during the health-care debate. As Hyde once said in a speech to newly elected members: “If you do not know the principle, or the policy, for which you are willing to lose your office, then you are going to do damage here.” And, as it happens, this is a winning issue — one that unites the majority of Americans, and what promises to be a dramatically different new majority in the House. 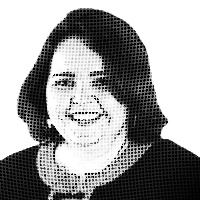 – Kathryn Jean Lopez is editor-at-large of National Review Online. She can be reached at klopez@nationalreview.com.